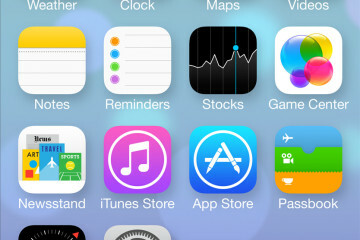 There are tons of apps which offer an alternative to Apple’s own built-in Weather app. However, Ventusky: Weather Maps is a little different. As its name suggests, the focus here is on maps — the app uses these to deliver a substantial amount of weather data in a simple, easy-to-interpret interface. But is there anything missing from the equation? Let’s find out. The default interface in Ventusky is a map of your local area with temperature color shown on-screen, and wind direction lines moving over the land. Numbers, neatly spaced across the map, tell you the temperature in that area (units can be changed in the app’s settings). This kind of approach lets you see, at a glance, what the weather is like in your location. A pinch on the map will tell you how the weather looks nationally, or, if you pinch even further, internationally. The app updates and renders all of this information at lightning-fast speed. You can change the weather map quickly and easily, and plenty of options are available to choose from. You might not be interested in seeing forecasted temperature. No problem: tapping an icon in the top-right of the app’s screen changes the kind of data displayed on the map. There are plenty of options to choose from, including precipitation, cloud cover, humidity, or freezing level. Ventusky then updates its map interface, displaying the newly-selected data type instantly. When you change the weather map, Ventusky updates the app in lightning-fast time. One of the app’s nicest features is the ability to watch an animated weather forecast play out on screen — hitting a “play” button in the bottom corner of Ventusky shows you how the weather is going to change over the coming hours or days (the app can take you over a week into the future). You can also travel back in time to see how the weather has evolved. For a more traditional weather app interface, swipe up and access the app’s more complex weather data. Admittedly, the weather map interface might not suit every type of user. But the folks behind Ventusky have thought about this, too: with a swipe-up on the app’s screen, you can leave the weather map behind and access a more traditional interface, with complex data presented using icons and graphs. The temperature graphs are particularly nice: these use two lines to show how the day’s maximum and minimum temperatures are expected to fluctuate. Similar graphs are available for wind and precipitation. Ventusky looks great on the iPad, too! Ventusky is so close to perfect, but there are two small areas for development. First, the developer needs to make a single button which brings you back to the current time and location. Second, it would be nice for Ventusky to offer more detailed map data when you zoom right in on a location. At the moment, the map blurs slightly and doesn’t offer a particularly high level of detail. Both of these issues could be fixed in a small future update, so watch this space. In the meantime, Ventusky nevertheless shares the crown as one of the best weather apps on the App Store. You’d be hard-pressed to find animations as smooth and slick as these.